Shoppers still in the market for an iPad mini WiFi or iPad mini WiFi + Cellular can skip the two week wait from Apple's online store when ordering from the company's partner retailers, one of which says it's ready to ship all iPad mini configurations to customers this week. 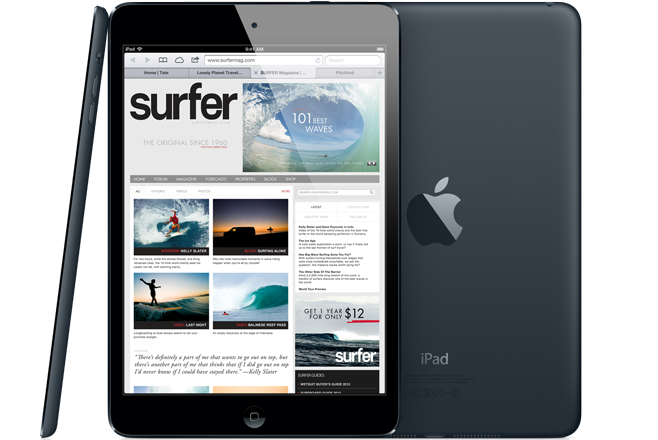 Our iPad Price Guide shows three Apple Authorized Resellers with stock of various iPad mini models. And while, Target and Wal-Mart each have a select few, MacMall tells us they have almost every model in stock and ready to ship (see chart above), with the exception of the 16GB WiFi models which will begin shipping to customers sometime during the week. The reseller isn't carrying the Sprint versions of the tablet, however. Customers looking for immediate shipments of Sprint iPad minis can turn to Target, which currently has every Sprint model in stock except the White 16GB model. We'll be providing updates on iPad mini availability on our Backpage (RSS) throughout the holiday shopping season, or until supply catches up with demand. Meanwhile, MacMall also continues to discount the new iPad with Retina display by up to $35, while also offering AppleInsider readers the lowest prices on most of Apple's MacBook family when you activate the coupon field on its product pages by using the links in our Mac Price Guide (also below), pasting in coupon code APPINSDRMWB35722, and clicking "Apply."